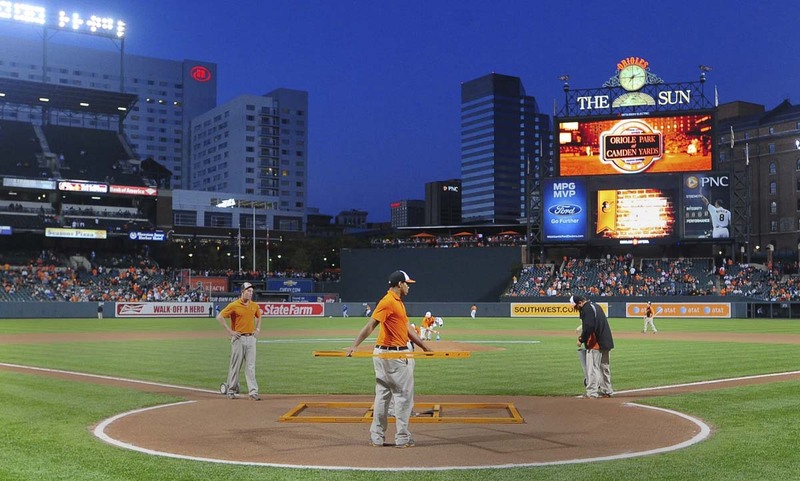 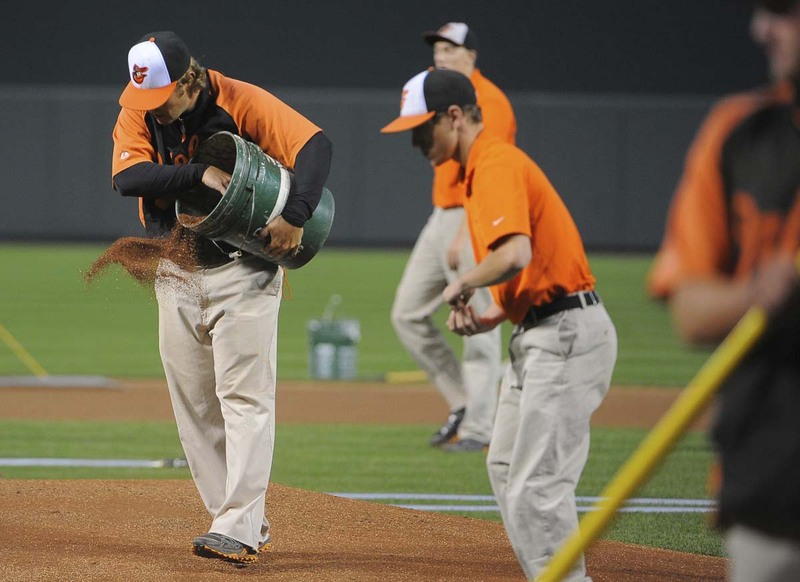 And when people come to Oriole Park at Camden Yards they will see a field that is cared for by head groundskeeper Nicole Sherry and her dedicated team. After nightly batting practice, they have less then a half hour to prepare the infield before the start of the game. 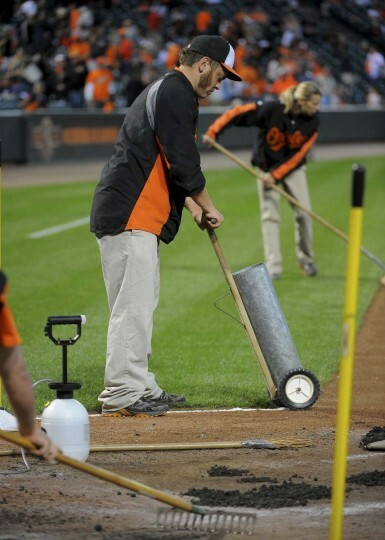 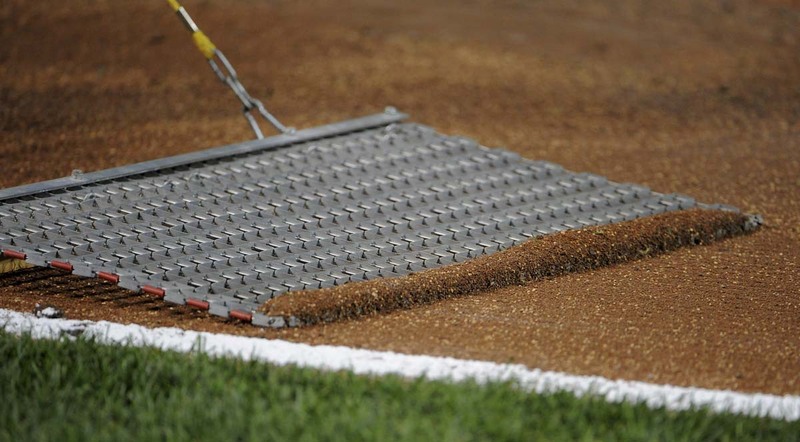 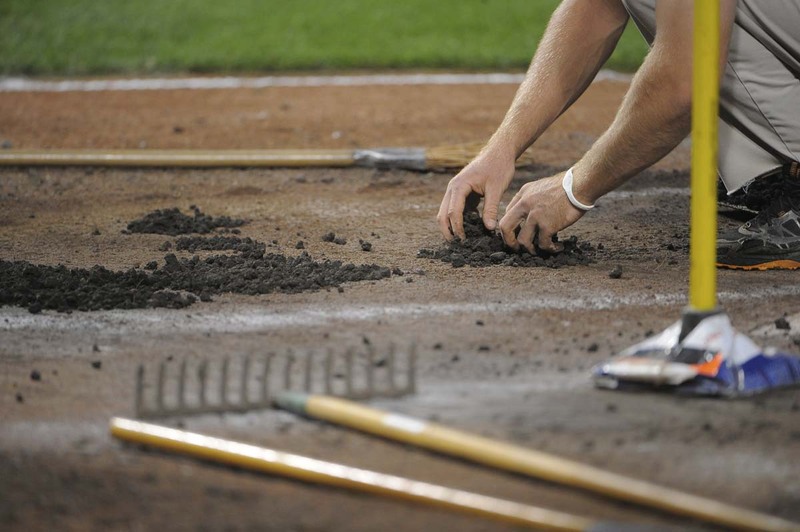 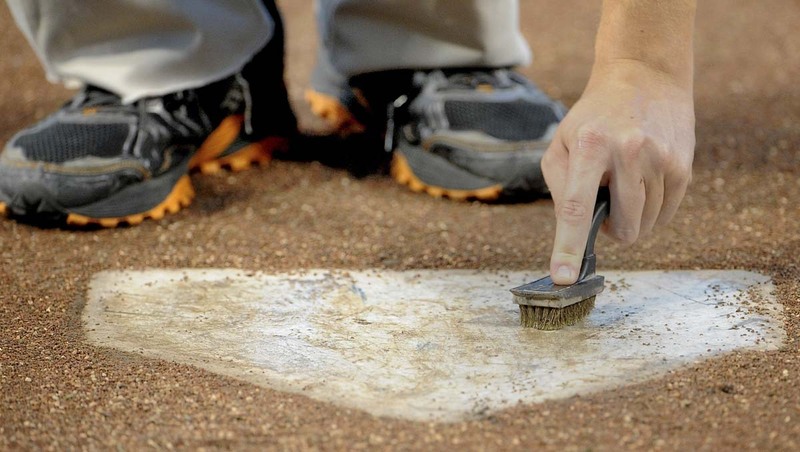 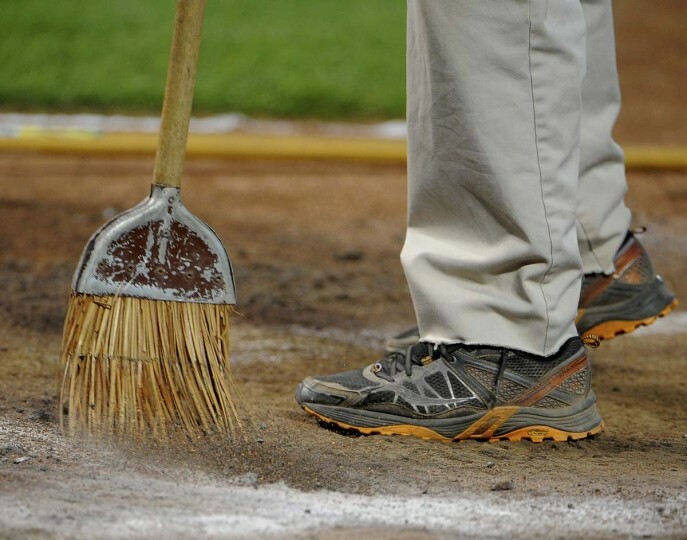 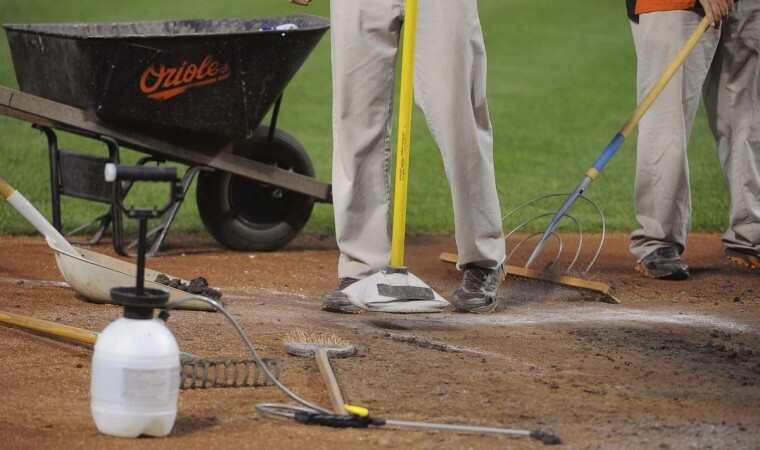 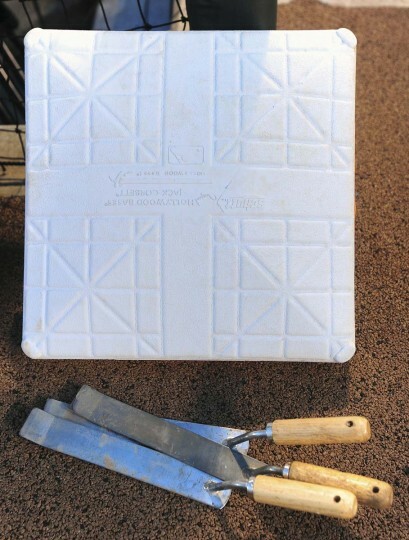 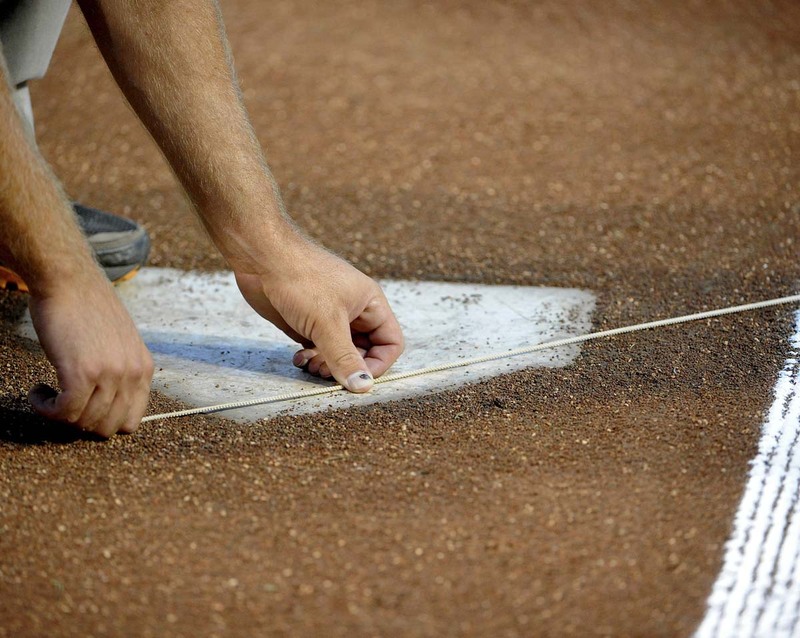 This involves preparing the dirt around home plate, the pitching mound and the base paths. 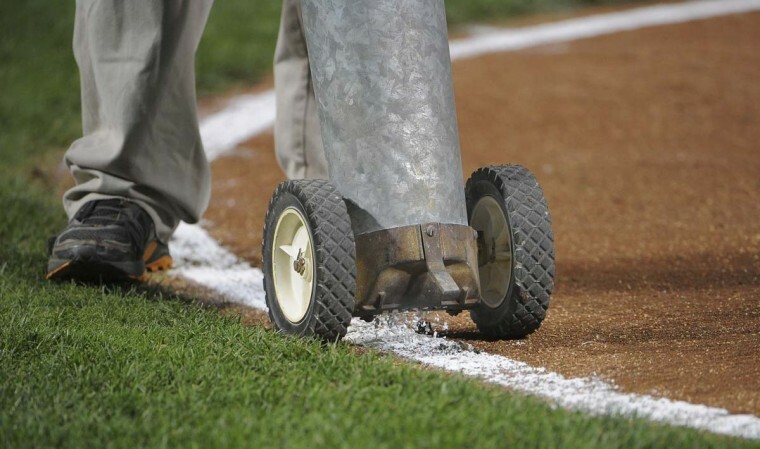 Chalking all of the foul lines, installing new bases and watering down all of the infield dirt. 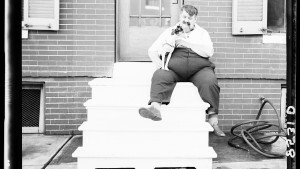 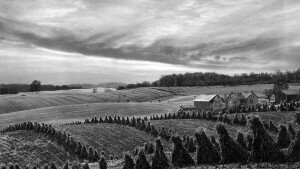 Over the course of a season Sherry and her crew go through fifty-two, 40-pound bags of chalk and twelve hundred, 50-pound bags of top dressing. 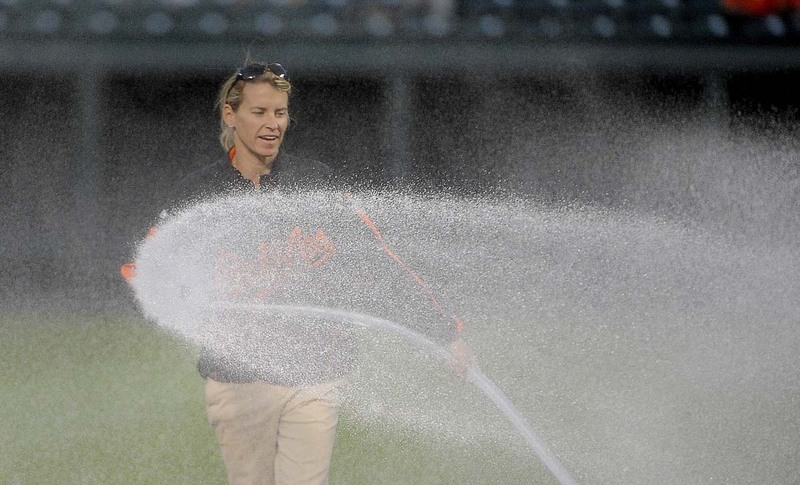 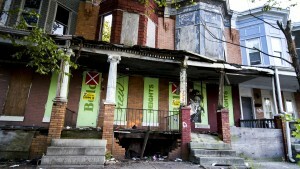 If the Orioles make it into the play-offs, Sherry is ready for the national exposure. 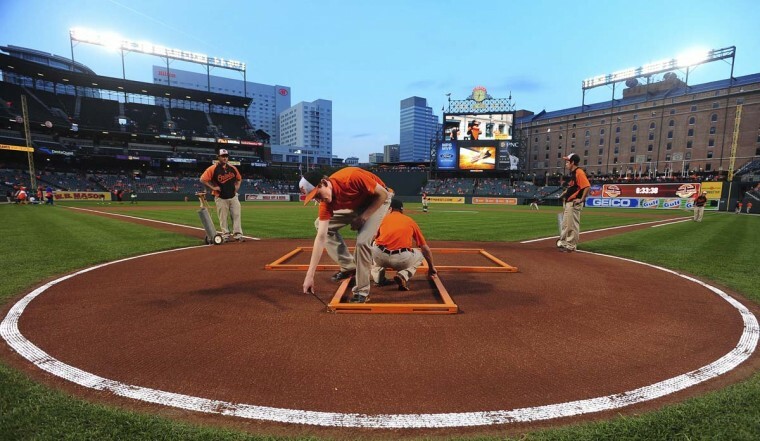 The only difference from the normal preparations for the field will be a “diamond” cut in the grass, as owner Peter Angelos wants to keep it conservative and logos painted on each side of the field by the dugouts. Sherry is prepared for the pressure of playoff baseball, even though the University of Delaware grad was only in her teens the last time the Orioles were in the post-season.